Woodburning of a 1968 Chevrolet Camaro Z/28. Based off of a picture. 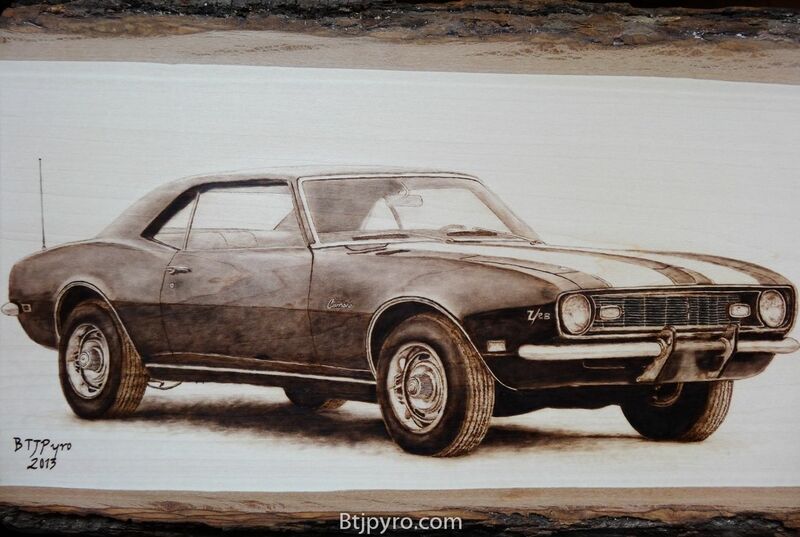 Created with the art of pyrography. Made on a basswood plank.